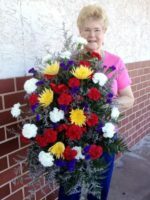 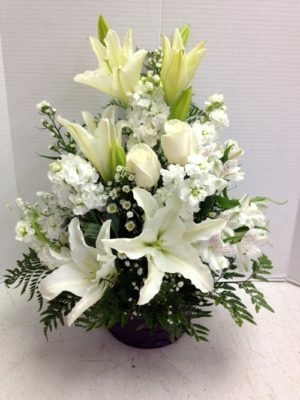 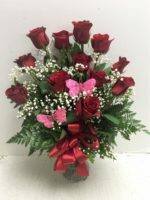 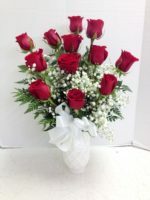 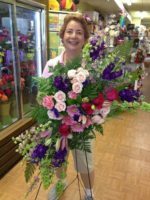 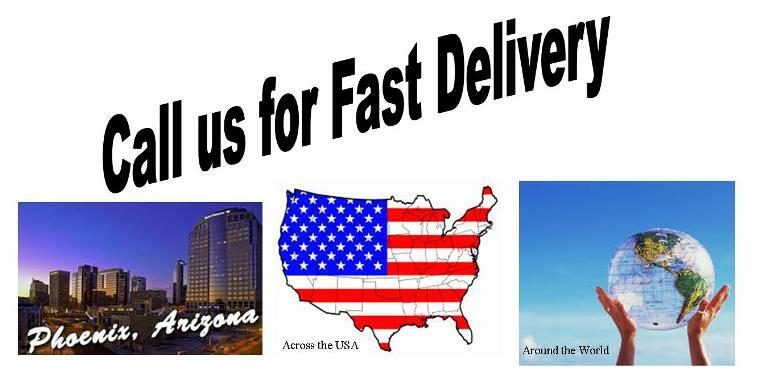 To convey the most sincere condolences, Roadrunner Florist designs and delivers a White Funeral Flowers Arranged in a Basket to a local funeral home, cemetery or service. 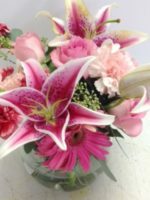 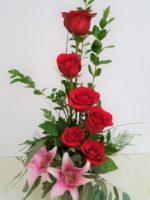 Stunningly arranged with flowers such as roses, lilies, alstroemeria and fragrant stock, this arrangement is soft, thoughtful and the perfect conveyance of love. 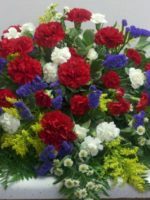 I saw the flower arrangement at the funeral. 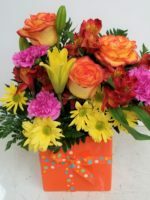 You had done a wonderful job, it was much appreciated.